Could you help us serve healthy lunches to local schoolchildren? Would you like to work school hours, term time only? Then why not join one of our friendly school based teams? Full training package offered with opportunities for career progression. 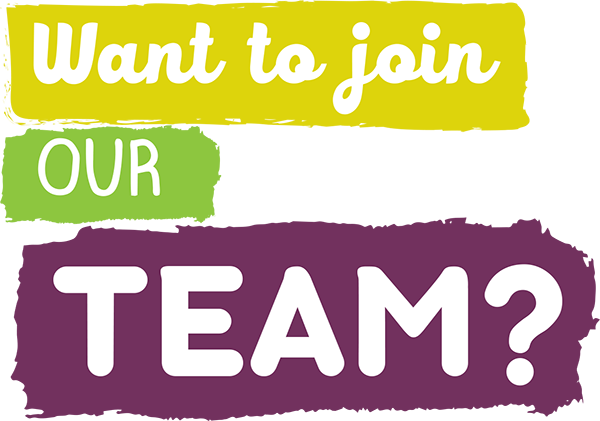 to register your interest and we will call you back if we have a suitable vacancy. WHAT'S IT LIKE TO WORK FOR EDUCATERERS? “Kitchen work is physically demanding and you need to be the sort of person who is prepared to roll your sleeves up and get stuck in. 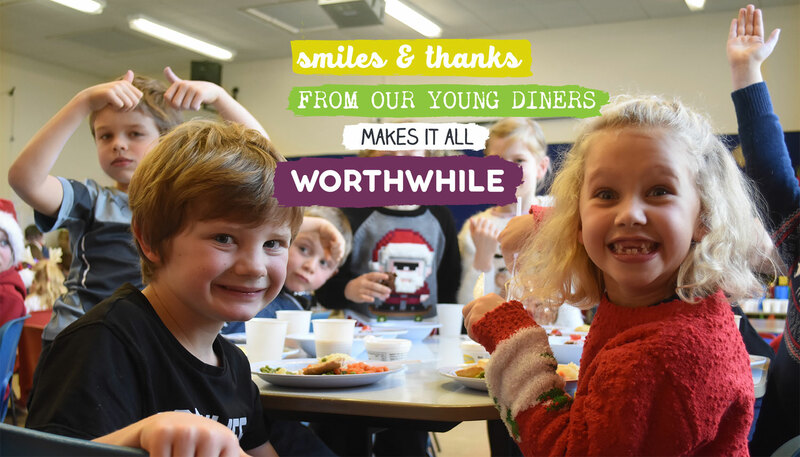 We do have lots of fun along the way though – and the smiles and thanks from our young diners makes it all worthwhile. Debbie started her career in the school meals service as a catering assistant in 1994. Two years later, she was promoted to Catering Supervisor at Woodloes Infant School. When the school joined the juniors to become a Primary School in 2009, Debbie moved across to manage the service for the new school and has been there ever since. 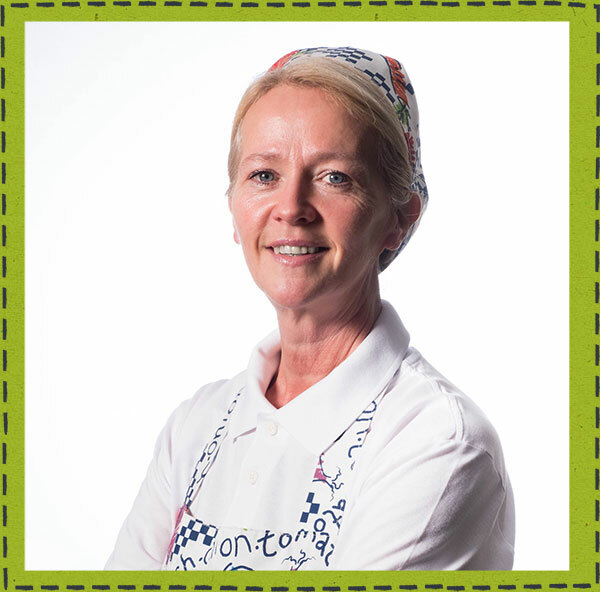 Debbie and her team are passionate about feeding children delicious, healthy and nutritious meals; with the kitchen team very much part of the school community, feeling valued and appreciated by their hungry customers. 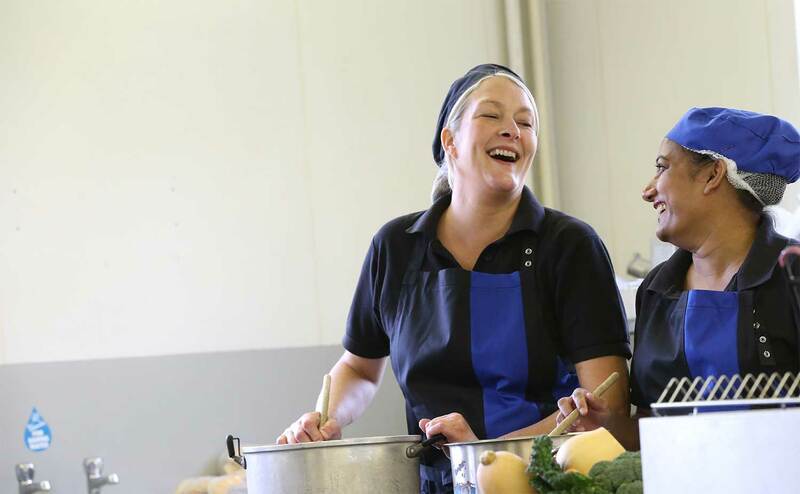 Competitive rates of pay at all levels and significantly above minimum wage rates for catering assistants. Eligibility for membership of The Local Government Pension Scheme. Personalised training and development plans for all employees.